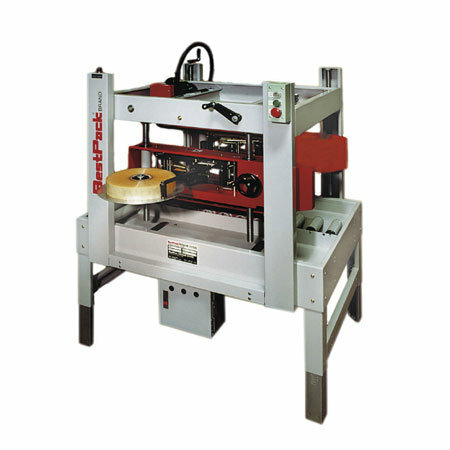 The BestPack MTSS Series are operator-fed, adjustable carton-sealing machines designed to cater to the needs of applications where the cartons will be filled and sealed from the side. Each side tape head is individually adjustable. The individual adjustability allows complete control over the location where the tape can be applied on the side of the carton. This allows for the taping of side RSC and FOL cartons. The units are four-belt driven with the two belts on the bottom bed and two belts on the top drive assembly. The belts are driven by two 1/5 hp, 110V UL approved motors. The MTSS Series are designed with four adjustable legs for quick, easy height adjustment to production lines.